Breaking news Thursday morning. 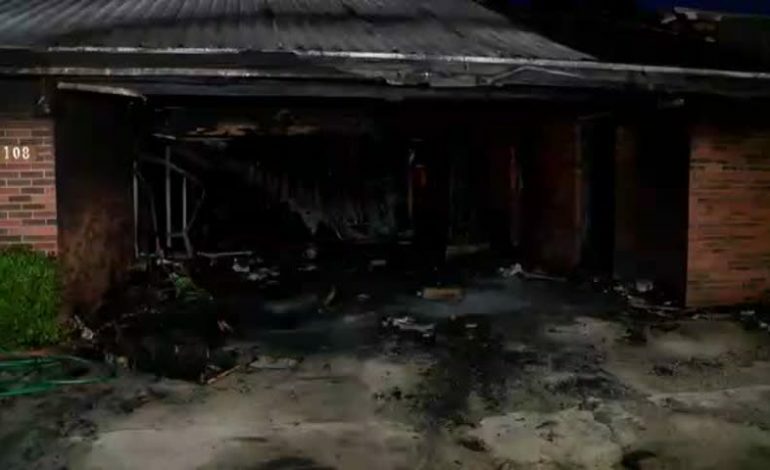 A house fire in New Iberia started around 2am. News15 spoke with the homeowner who said his youngest child woke up moments before the fire started. Then he heard a pop come from a part of the house that was recently added on. By the time he got to the source of the sound, fire was spewing from the small room. He and his wife were able to get their 8-year-old, 16-month-old, and 1-month-old out of the house in time. Every member of the family, including the dog, got out the home safely. The homeowner told news15 the house can be replaced, but his family is the one thing he could never replace. News15 will bring updates as we receive more information.